Royal Vegas is one of the biggest online casinos that operate on a Microgaming powered software and gaming platform. The casino has acquired its licenses to operate legally online and to offer its services to countries from around the world by the licensing authority of the jurisdiction of Kahnawake. The casino is owned by the Fortune Lounge Group, one of the biggest gambling groups in the industry. It also abides by the rules of one of the strictest auditing firms in the world, the eCOGRA organization that audits the games results and payout percentages. This ensures players that they will be able to enjoy a very fun, safe and a fair gambling experience at the casino. The casino also utilized an RNG, which guarantees the randomness of the games’ results. As mentioned, the casino has acquired the needed licenses to operate globally, this is why the casino supports numerous languages. The list of supported languages besides English includes French, Spanish, Danish, Norwegian, Dutch, Italian, Finnish, Greek and Swedish. It also accepts deposits made in different currencies including US Dollars, Australian Dollars, Canadian Dollars, British Pounds, Euros, Danish Krone and Norwegian Krone. The casino offers players plenty of bonuses and promotions as well as a 24/7/365 available customer support team that players can turn to whenever they need help with anything. 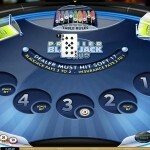 Royal Vegas is provided by casino games, including Blackjack by Microgaming. Microgaming provides the online casino with a wonderful gaming library that contains more than 400 casino games including tens of blackjack variants. 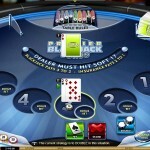 The Blackjack variants mimic real life Blackjack tables at land-based casinos through the outstanding visuals and the vivid casino background noise and dealer voices. 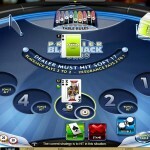 The blackjack versions include Multi Hand Blackjack, Multi Hand Blackjack Gold, Atlantic City Blackjack, Double Exposure blackjack, Vegas Single Deck Blackjack and Bonus Blackjack. These versions are very rewarding and exciting, either through the normal game play or through the side bets they offer. Royal Vegas gives new players the chance to claim an outstanding welcome package that consists of three match deposit bonuses. Players can earn up to $1200 through this package and they can use them to enjoy the wonderful selection of Blackjack games that the casino offers. Apart from the welcome package, players can claim other bonuses and enjoy promotions including Blackjack tournaments as well as the loyalty program of Royal Vegas. 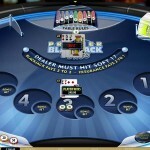 This program enables players to earn casino credits by placing wagers on casino and Blackjack games.